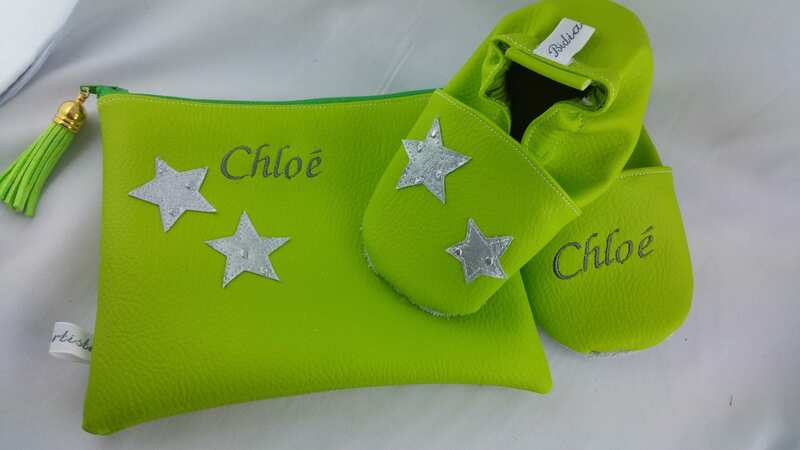 This set consists of a cover 18 x 13 cm and a pair of slippers is flexible to customize to your liking. 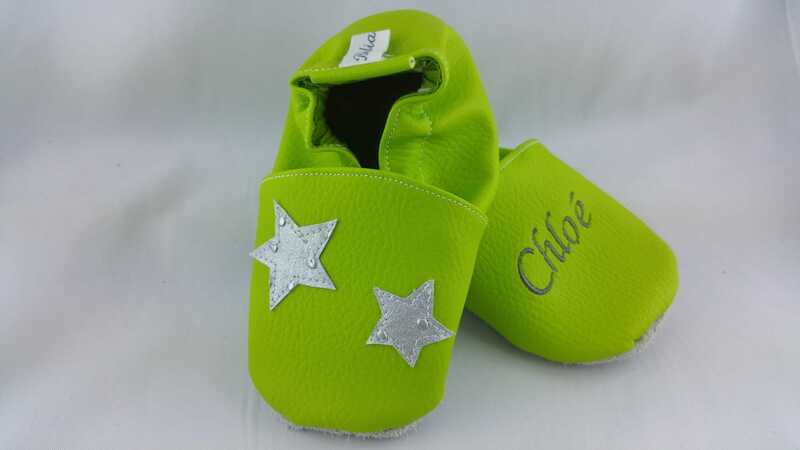 1 / a pair of shoes to choose from in sizes from birth to 24. colors to choose from the color chart. Sole leather exterior and faux leather lined with cotton. 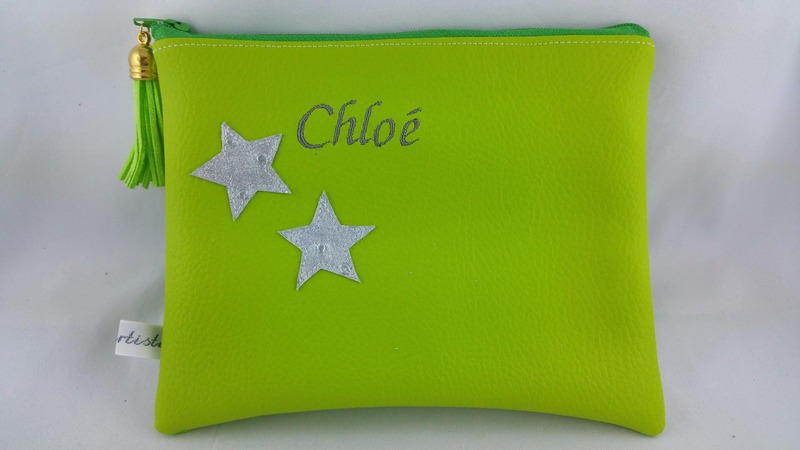 2 / a pouch 18x13cm faux leather embroidered with the name of child, with quilted stars. 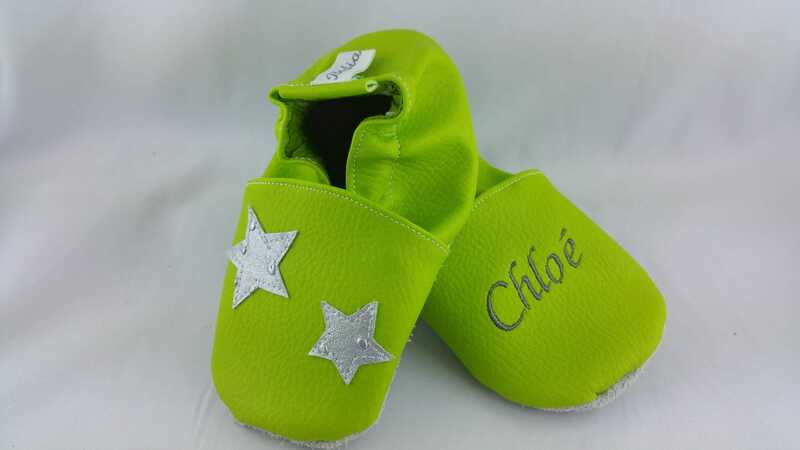 These slippers for boy or girl have a soft leather sole, top is faux leather. 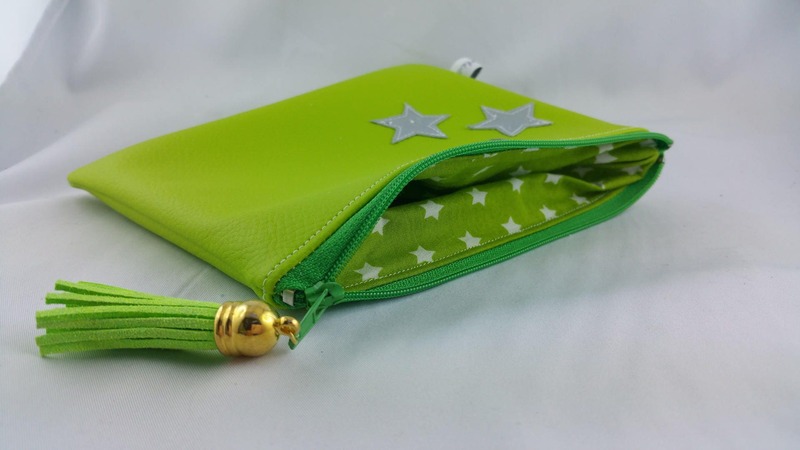 The Interior is lined with a matching cotton. These booties are perfect for the home.